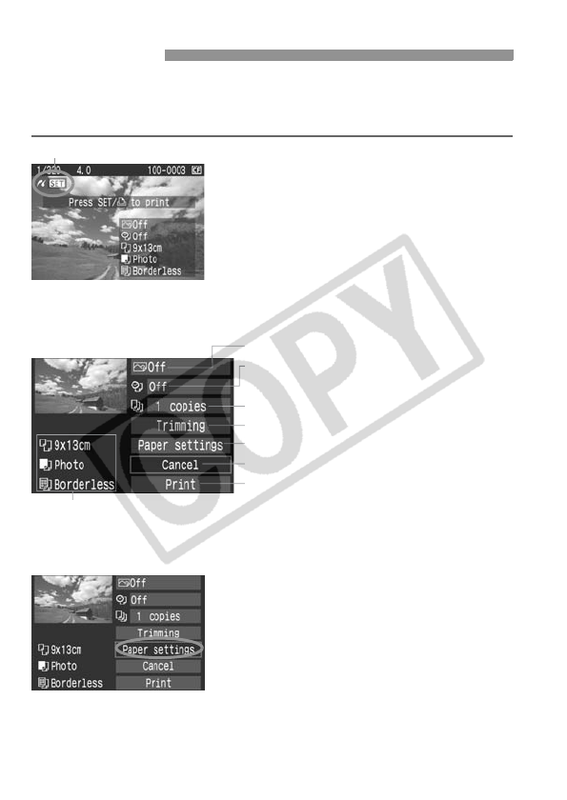 X The print setting screen will appear. number imprinting and trimming might not be available. Sets the paper size, type, and layout. The paper size, type, and layout you have set will be displayed.